A year or two ago, I gave up trying to track all the interesting stuff happening in the Clojure universe, because the rate of change was simply too high — too many awesome new things were happening too frequently for me to be able to try them all out, or find a "nail to hammer" with whichever new interesting thing came out that week. That, combined with the fact that everything we were doing "in anger" was working just fine, led me to a sort of complacence, where I didn't try new things out. I've decided to give myself a multi-faceted learning / sharing goal, and this post serves to document what it is, and why I'm doing it. I want to build an open-source project with #Clojure, #ClojureScript, and #Datomic Cloud, to demonstrate (via screencasts) how it could be done. I'm undecided on what to build... I'm pretty sure the world can do without another todo list, blog engine, or Twitter clone. The feedback I received is clear: there's interest in seeing how Datomic and Clojure can be used to create real value. A community-driven events wiki, with an example use-case: "e.g, notify me of upcoming metal shows occurring within a 20 minute drive." Knowing Luke, that's the sort of metal you can find on iTunes Music, not the sort you search on the beach for with a detector. A registration system for ClojureBridge, particularly the ClojureBridge Berlin chapter. An accounting system. Seems like a slam-dunk for Datomic .. that's because it is — this has already been done! Check it out: https://github.com/juxt/juxt-accounting. A large scale Datomic codeq. Public global repository with a bunch of Clojure functions. I kinda feel like this has already been solidly tackled by https://crossclj.info/. Some sort of free-for-devs version of https://nextjournal.com/. That last one is verrrry tempting. I actually did start something like this with the Cape Town Clojure user group, along with @cmdrdats : Steel Plains TCG. I built a deck builder with Om, and specified the card and deck model with Schema — remember those? :-) As with many projects like this, we didn't get very far, but it was tremendous fun. While I appreciated all the responses I got, the one that seemed like a clear win is the one for ClojureBridge, because not only does it have enough meat on the bone for demonstrating how to build this stuff, it has something that's key for motivating me: it'll actually be used, by real people, to solve a real challenge they have. Build it in the open, where folks can learn from watching me do it (and I can learn from the feedback I get). Build something that's actually useful to someone. So that's what I'm going to do! This is such a nice project for me, for a number of reasons. I have come to learn that I work best when I have someone to work with. This is one of the reasons why I consult — I get to interact with another human being, and learn from them, and provide them with value. Happily, for this project, I have someone I can talk to, to understand requirements, and verify that what I'm building actually solves the problem. Crucially, that person — Arne Brasseur, of Lambda Island and ClojureVerse fame — is willing and able. Thanks, Arne! I truly appreciate it. I haven't ever attended a ClojureBridge event, mostly due to where I live, which makes me a little sad. So, this gives me my own way to participate somehow. If I succeed, I'll provide something that's useful in organising volunteer-driven work that grows our community in a very necessary and healthy way. Because of the first two points above, I have clarity on what to build, and why it'll work. This is thanks largely to the excellent write-up that Arne provided, which describes what they need, and why. In hammock mode, I wrote up a list of capabilities, roles, verbs and views. There's no avoiding it. Systems that matter need to interact with human beings. We have to model them in our system, and provide safe ways for them to do their part to move things forward. Authentication and authorisation (role-based and content-based). Profile management: self-service registration and account recovery, data protection and privacy concerns. Audit trail: who did what? Who altered this thing? The heart of the application. What you can see and do changes as time passes. Some things need to happen automatically at a predetermined time. The events themselves — scheduling, detailing, and managing the status of events and the individuals involved. Email templates. Much of the work of organising such an event is clear communication, and, given the fact that this whole effort is focused on helping to establish a new narrative for women in tech — the words really matter. So, removing the friction around sending the right words at the right time is important. There's a cyclical, multi-person interaction when handling the invite process. Arne would like the app to make it totally self-service. Ah, good old reporting. Organisers need to be able to quickly determine head-counts for things like t-shirt sizes, catering choices, child-care, and so on. Another interesting bit is how participants are grouped during a live ClojureBridge event. Several factors play a part: who's actually available, language preference, prior experience, coaching preference — all of this matters. It'll be interesting to see how we might solve this algorithmically. Perhaps it'll give me a strong enough impetus to understand core.logic enough to solve an actual challenge? If things go as well as I hope, I'd like to see this system used by ClojureBridge around the world, not just the chapter in Berlin. That means that there'll be an additional layer beyond users and events, where we control who organises which chapter, adding new chapters, and so forth. A personal goal (one I acknowledge may not be possible, because it's not actually up to me) is that this system lives on the main ClojureBridge site somehow. I suppose am in control of one thing; I can ensure that I make this as useful as possible! Perhaps when the time is right, I'll be able to make a strong case for having this system facilitate all the ClojureBridge events around the world. There's loads of things to build into a single-page app backed by an EDN API, but also a fair amount of simple server-rendered pages. We'll be able to see both approaches working in unison. Since the release of Clojure 1.9, Clojure ships with its own cli tool. As I've been happily ensconced in my fortress of project.clj files these past six years, I've had no reason to get to grips with this tool, or any of its implications. I've decided to apply a simple forcing function for this project: do it with clojure and tools.deps.alpha / deps.edn alone — no Leiningen! I've long been a fan of Stuart Sierra's Reloaded workflow, as I am sure many Clojurians (Clojurists? Clojurologists? Clojuronimoes?) are. Having used Component and TrapperKeeper thus far, I've been aware of several other takes on this, such as Daniel Szmulewicz' System and James Reeves' Integrant. I decided to give Integrant and Ataraxy (also by James) a try. I like their design, and I just love saying their names. I did intend on using Datomic Cloud for this, as this is something I wish to experience, but it's not quite ready yet. Critically, it has no support for excision, which is a key requirement for this app — we'd be honour (and legally) bound to lose people's PII when they request it. Given that Datomic doesn't actually delete anything, this is a problem which only excision can solve. 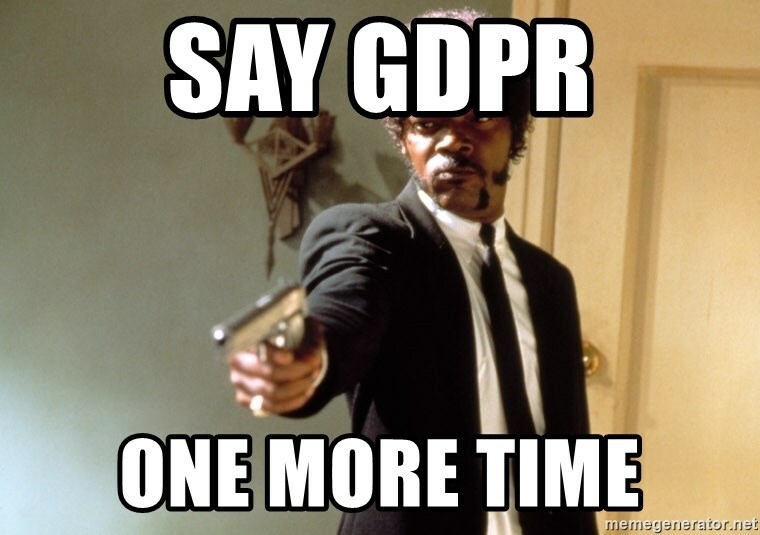 Aside: sending big hugs ♥️ to all the tech folks currently making ready for Europe's GDPR legislation. Less important for this project is that Datomic Cloud doesn't yet have a story for transactor functions, or backup/restore. I know that all of this is still coming! The other thing, though, is that someone has to pay to host this once it's built, and a USD40/month VPS running Datomic Free and our Clojure app is likely to be all we need. Using Datomic Cloud will cost at least 2-3x that, due to the need for multiple AWS resources. All is not lost, though! I will use this opportunity to build with the Datomic Client library instead of the Datomic Peer library, as it is a substantially simpler (and therefore different) API. This'll also teach me about running a Peer Server. That way, one day, I'll be able to convert the project to use Cloud when it's ready. I expect that conversion to be a quick one. I've waited to write about all of this, because I wanted to have some progress to show. So, here's the code! REPL + Figwheel, with CIDER/clj-refactor middleware. Test runner, thanks to the recently released test-runner. Uberjar packaging, thanks to Juxt's pack.alpha. Advanced Cljs compiler, thanks to the brand-spanking-new cljs.main CLI stuff. With all of these in place, I'm happy that I can provision CI and run this in a production setting. An Integrant system, connecting a Jetty web server, a Datomic connection, and a say-it-with-me Ataraxy Ring handler. It was fun to compose Integrant with dyn-edn, released just a couple days ago. By providing its capability as data readers, it was trivial to use with Integrant's own read-string. Thanks again, @hlship! A simple templating system, using a standard HTML wrapper and Hiccup (via Rum's server-side rendering). Everything from this point onwards is a matter of writing Hiccup, which has been my native markup language for years now. Login, powered by buddy-auth and buddy-hashers. I'm all set to begin building the actual application, now. That means starting with that most-requested Datomic feature: modelling data. Taking inspiration from my colleague tonsky, who live-streams Clojure programming (in Russian), I'd like to experiment with doing this in a live-stream, too. Failing that, I may simply record a couple programming sessions, and share it that way. No matter what else, I'll be sharing the code and writing developer diaries along the way, just as I have done today. I have no idea where I'll end up with this project. I recognise that many projects that start this way, never get finished, which I guess is a risk I'll just have to take. Of course, I have a selfish reason for doing this, that goes beyond the pure and simple fun of building something — and that's to promote my consulting practice. My hope is that I can demonstrate my value, rather than writing short novels about it — "show, don't tell," if you will. Regardless of whether my consulting interests you, if you're at all interested in this adventure, I'd love to hear from you. What aspects interest you? What are you hoping I'll cover? I'm particularly interested in unpacking the 'why' questions, because it leads to interesting discussions around the tradeoffs involved, and how the need and the solution fit together. Please get in touch — even if just to vote for that live-stream!